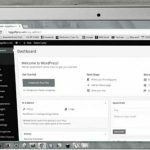 WordPress artist themes come in many flavors. Some are designed especially for painters or photographers, others target visual artists in general. Within each of these categories there can be a lot of variation. But all great art themes usually come with the same core features. So, what exactly makes an artist theme great? Artist themes are essentially built to showcase artworks and artists. Unlike themes in other categories, they tend to feature mostly minimalist and complementary designs that don’t get in the way of the viewer’s journey of discovery. Many themes recreate the gallery experience, encouraging visitors to browse different categories and artworks in whatever order they choose. Because artists can have widely different values, themes made for them have to be highly customizable, almost like canvases for them to play with. Artist themes are in fact some of the most customizable around, featuring a host of design options spanning color schemes, layouts, content modules, and widget arrangement. Crucially, all these options are neatly packaged behind drag and drop page builders and live customizers so that artists without coding knowledge can easily play with them. 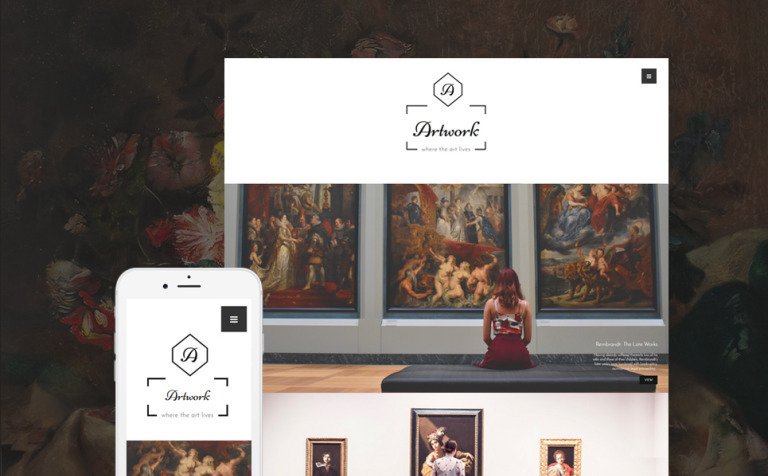 The best themes for artists have to be both responsive and SEO friendly. This can be a challenge for designers, as they have to present visual content in an engaging way without decreasing website performance. But as you will see, there are plenty of themes that pull that off nicely. 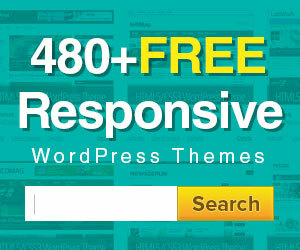 You may be already familiar with our collection of WordPress themes. Many of those can be adapted for use by artists. But here we want to bring you a careful selection of themes built specially for artists. Discover the best artist WordPress templates of this year now! 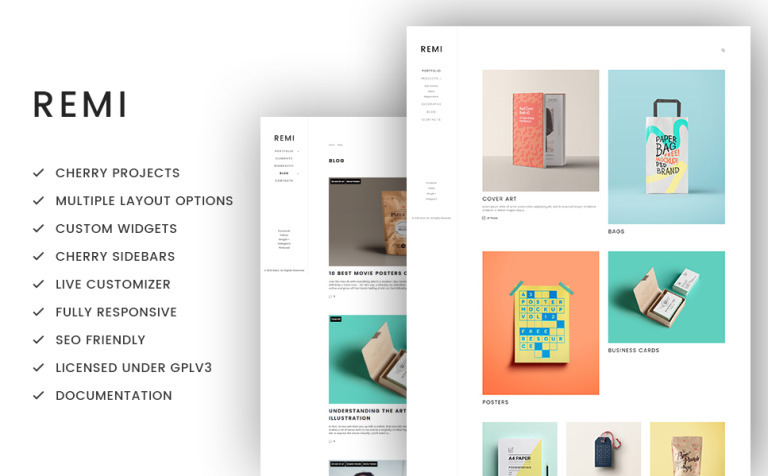 Remi is a fully responsive minimalist theme designed especially for photographers and their portfolios. Built on Cherry Framework 5 and enhanced with Cherry Sidebars and a powerful live customizer, this theme retreats into gentle and quiet backgrounds to showcase the artist’s creations. Multiple layout integration allows you to alternate between one-column designs with a sidebar or footer and simple layouts without a footer. Parallax and LazyLoad effects add an exquisite touch to the browsing experience. This theme comes with a wealth of social media widgets for Facebook, Twitter, Instagram, and more. This SEO-friendly theme is an inspired choice if you’re looking for a quiet yet stylish design that brings your work to the forefront. 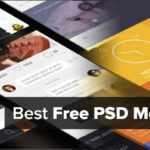 It can also be used by visual artists, graphic designers, and anyone else looking for one of the most inspired WordPress artist portfolio themes around. Showcase your visual art in an unforgettable way with this signature artist theme. 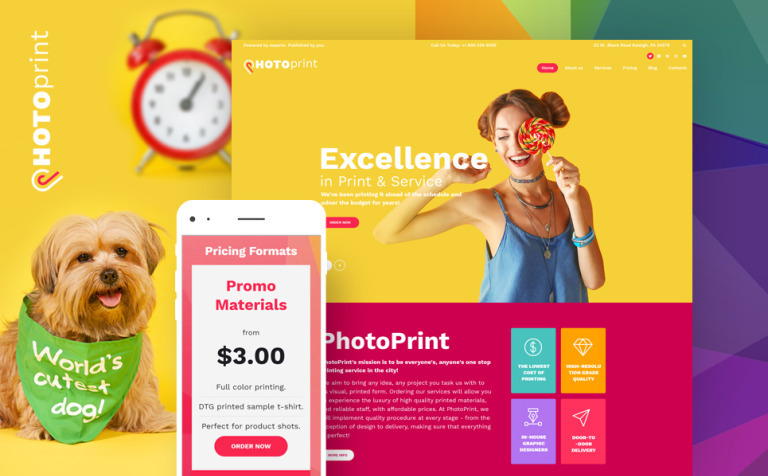 Powerful customization features including TemplateMonster’s responsive drag and drop page builder, 11 layout options, custom widgets, and content modules give you a host of options to play with. 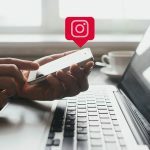 You can easily add calls to action, countdown timers, or social media buttons by dragging them on the desired location on the page. With Steven Mosk you won’t be needing a separate gallery plugin because it includes the versatile TM Gallery. You’ll also enjoy the overall sleek design of the theme with its simple navigation and functional menus. 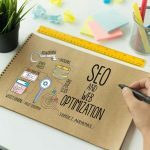 Optimized for mobile devices and search engines, this well-crafted theme can help you improve your local search engine ranking. Coupled with its other features, this makes it a great theme for artists looking to build an engaged following and ultimately sell their art. Minimalist yet expressive, with clean lines and a smooth navigational menu, Salvatoro is a well-polished painter portfolio theme. Create a beautiful online exhibition of your works and sort them into easy to access categories with the potent built-in Carousel image gallery. Customization features such as flexible layouts, powerful widgets, and sliders make your task easier. Switch from a top-of-the screen menu to a discrete left sidebar. Preview the changes you make on any page any time with the live customizer. 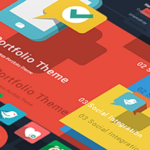 One of the best features of this theme is the versatile Cherry Projects plugin which takes the hassle out of managing even large portfolios with many different categories. 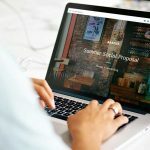 Salvatoro also makes it easy for you to incorporate your blog and social media accounts into your portfolio website to turn visitors into followers. 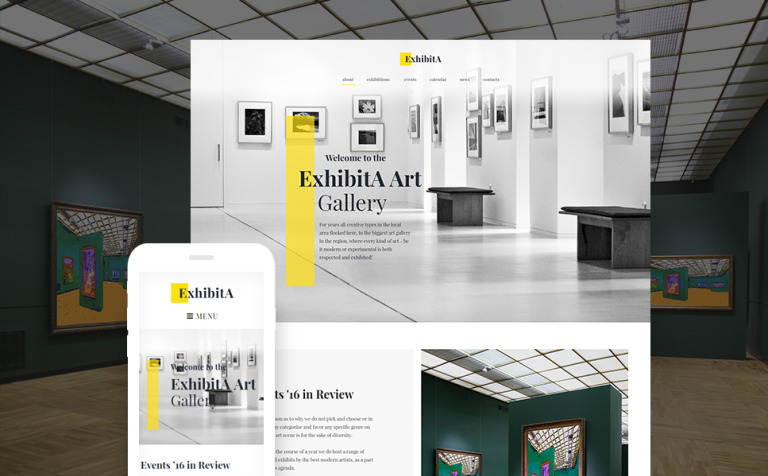 Elegant and replete with easy to use customization features, this fully responsive theme can be used by both art gallery managers and artists. 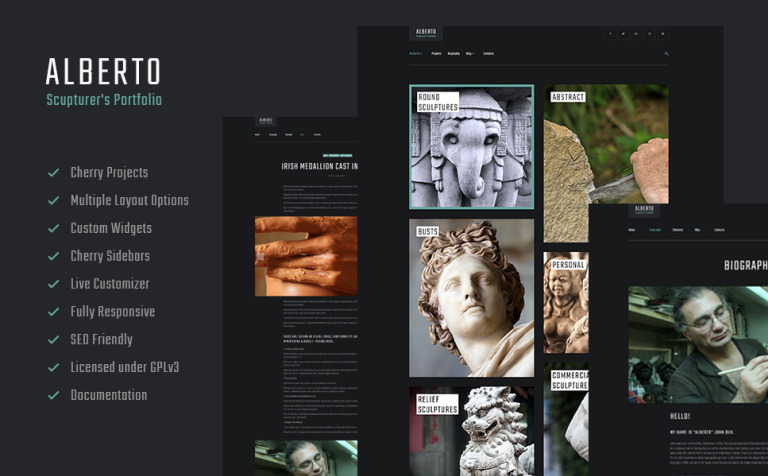 Crafted using pleasant tones and simple design elements, this theme creates a smooth and engaging virtual gallery with support for full-screen background videos, Parallax effects, and an easy to manage media library. ExhibitA comes with many useful gallery features, including a timetable, an appointment manager for booking exhibitions, and beautiful artists pages and gallery testimonials. Take advantage of custom widgets, custom content modules, and the drag and drop page builder to build a gorgeous gallery experience. With this theme rich customization is as simple as adding and rearranging items on the screen. The page builder and sidebar manager enable you to add sophistication to your site without calling in a web developer. Visual, expressive, and easy to handle – that’s ExhibitA in a nutshell. Artwork is a versatile artistic theme for visual artists, galleries, museums, landscape art and more. Designed for non-technical users, it comes with an engaging visual page builder that allows you to change almost any page element. Unlimited colors, a rich library of Google fonts, and multi-purpose content elements like forms and social buttons add to its depth of customization. Although it features a full-screen homepage image, it remains fast and responsive on all devices. Add to that a clean template structure with straightforward navigational elements, and this theme becomes a great choice for large portfolios and galleries. If you’re looking for an art theme that remains gracious in spite of its rich functionality, you can’t go wrong with Artwork. Sculpture is more than its name implies. It’s a versatile artistic theme with an emphasis on visual elements that works not only for sculptors, but for photographers, visual artists, galleries, and art schools. Build on responsive design principles, this theme scales down beautifully on smartphones, without any sense of loss. Extensive, easy customization with over 25 modules that you can drag on drop on the screen gives you full control over your site’s appearance and functionality. 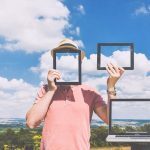 You’ll especially like the easy way in which you can integrate contact forms, images, or custom buttons into any page. 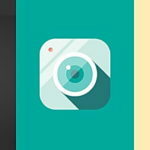 Smooth Parallax effects and social media buttons for Instagram and other networks round up its features. 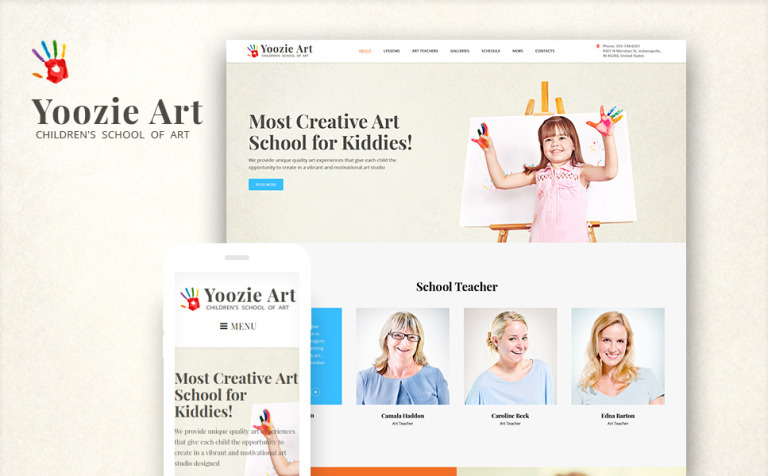 The bottom line is: this theme is great for highlighting artworks, artists, and art instructors in an engaging and visually pleasing way. Alberto catches the eye with its dark color scheme and sleek design. Large previews and thumbnails create an immersive visual browsing experience that can highlight the works of painters, sculptors, and other visual artists. Advanced theme customization options with content modules and custom widgets make it suitable for galleries as well. Social options are something that this theme is really good at also – you can integrate Facebook, Twitter, Instagram and other networks into your site with ease. The commenting system is a worthwhile addition, too. Alberto works across browsers and devices, and comes with advanced gallery options and smooth audio and video integration. If you want to highlight not just artworks but artists, this theme helps you present interviews and videos from events in a way that catches attention. 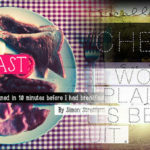 You’ll also like the seamless blog implementation, with multiple blog layouts and post formats. Warm and colorful, PhotoPrint brings printing services and art websites a vibrant theme that can be customized down to the smallest detail. 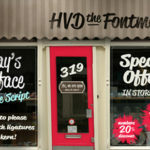 The emphasis is on images, but typography hasn’t been neglected, either. 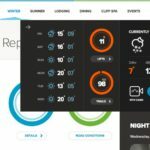 A capable WYSIWYG page editor helps you take advantage of the theme’s energy to craft compelling pages where every design element is where it should be. Take advantage of the live customizer to change layouts or rearrange widgets in realtime, without having to refresh the page. 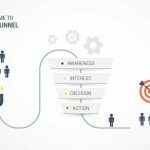 This, together with the many content modules available, can help you get your website up in no time. In addition to excellent social media integration, you also get a MailChimp ready template and a well-crafted newsletter subscription forum. This makes PhotoPrint a reliable theme for marketing across channels. You’ll be hard pressed to find a theme in this category that is as ready to sell your brand as this one. Yoozie strikes a fine balance between playfulness and professionalism, which is something that many art schools aim for. Aside from the plethora of customization options, this theme impresses with its well thought out side features – booking form, user registration, commenting system. With Yoozie it’s easy to highlight teachers, students, or events without sending visitors to a separate page. Browsing this theme showcases just how much care has been put into every design element. Not only does this theme look great, but it manages to create a flowing navigational experience in spite of the relatively static site structure most art schools are confined to. You’ll also like the smooth responsive experience that can load even image-heavy pages quickly. The advanced gallery integration won’t disappoint you either. 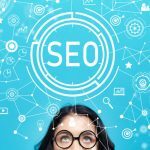 Last but not least, SEO neatness makes this theme a good choice for new art schools that want to climb fast to the top of local search results. 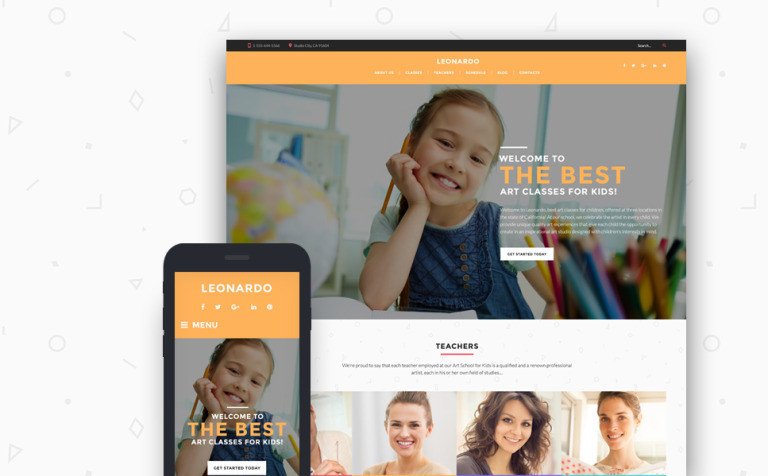 Leonardo stands out as a bright and cheerful theme for education websites. It does a great job at highlighting both classes and teachers, inviting visitors to learn more about your services. A hard to miss social media widget in the sidebar allows for a quick newsletter subscription while also featuring customizable social media buttons. The AppointmentManager is another useful feature that’s good to have, especially as it can increase user engagement. Advanced theme customization options, including a drag and drop page builder, and a beautiful live customizer, won’t disappoint you either. Gallery integration is also top-notch for this theme. You can showcase images in a carousel or slider for a great homepage effect. 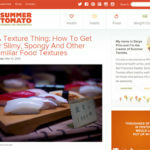 Integrating a blog into your theme is also easy. 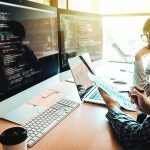 Finally, the theme’s SEO-friendly coding, coupled with its fully responsive design, makes it a reliable choice for schools that want a template that won’t get out of fashion next year. 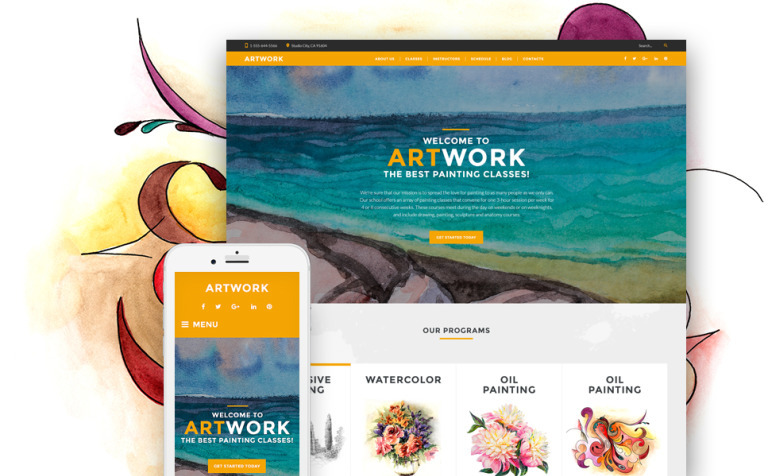 Whether you’re a painter, photographer, landscape artist, or any other type of artist, the WordPress art portfolio themes highlighted in this list enable you to create gorgeous personal portfolio websites and more. Replete with easy configuration options and perfectly adapted to the needs of mobile users, they enable you to create a unique user experience without breaking the bank. Perhaps the best thing about them is that you can customize them in depth on your own, without having to hire a web developer or other graphic designer. You can turn your website into a rich and memorable experience that reflects your artistic principles. Make your website as simple and sophisticated as you like – with page builders, custom widgets, and content modules you can go as far as you like. Choose the color, choose the page layout, choose everything. 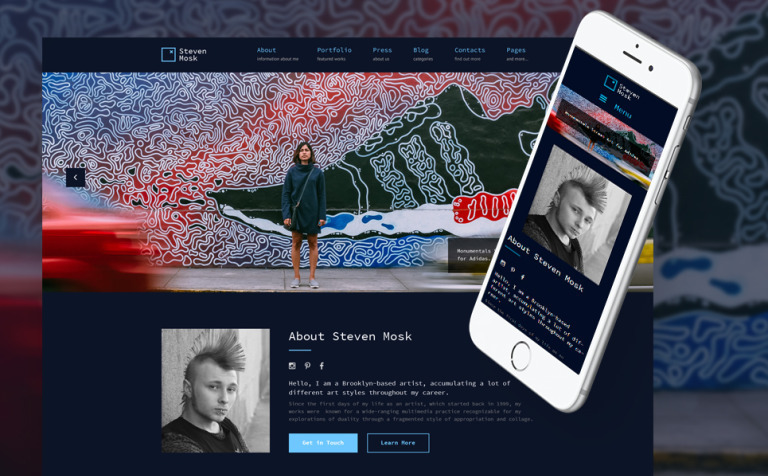 Thinking about creating a new artist website? Or just want to redesign an old one? Either way, these themes are a simple yet effective way for you to get started. 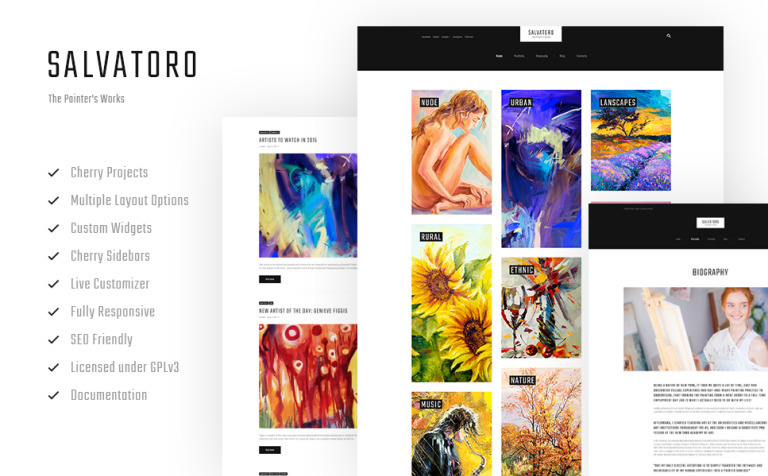 Choose now one of the best WordPress artist portfolio themes to bring your artworks the exposure they deserve. We hope you’ve enjoyed our list. Come back soon for more top WordPress themes. Have you tried any of the themes above? What are the features you look for most in an artist theme?